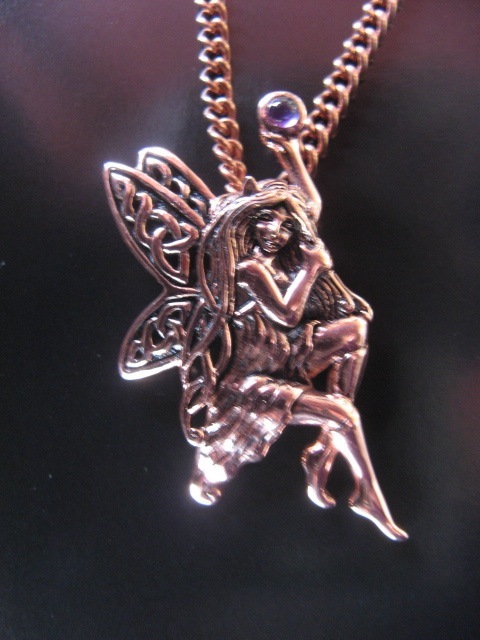 Copper Celtic Cross Pendant #CPD554 Solid Copper Celtic Fairy Pendant with a tiny Amethyst stone. 20 inch solid copper necklace included. Pendant is 1 1/2 inches long x 3/4 inch wide. Exclusive item. Beautiful design.